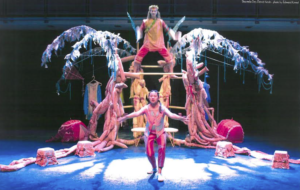 As the new millennium dawned, Theatre Direct put the focus on examining what theatre for young audiences could and should be. With new initiatives for young writers and performers, increasing participation of writers and performers with diverse backgrounds, and the introduction of ground-breaking festivals, the company found exciting and innovative ways to engage their audiences. 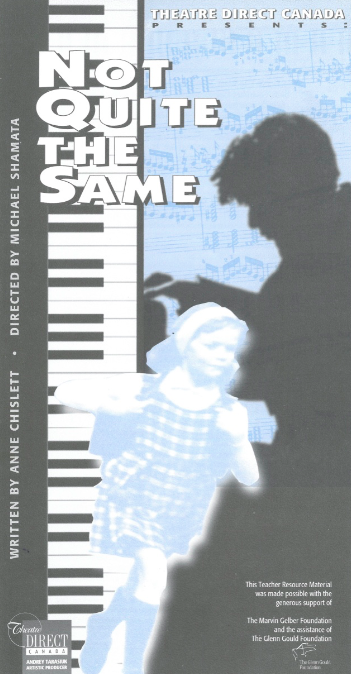 Award-winning playwright Anne Chislett looks at what it’s like when you don’t fit in with Not Quite the Same. On the day of Kyra’s birth, her fairy godmother blessed her with an abundance of musical talent. But as Kyra grows into an adolescent, she struggles to reconcile her musical ability with her desire for a “normal” life. A visit from the spirit of Glenn Gould helps her to understand her gift. 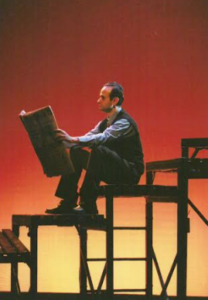 Nominated for a Dora Mavor Moore Award, 2001. 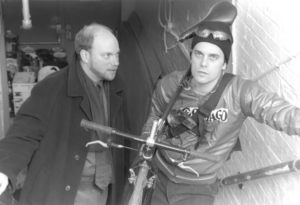 The play examines the relationship between a bicycle courier and a bank manager, and the production added environmental elements, beginning in the lobby. Inspired by the real story of a teen who gave birth to a baby during her prom, Pop Song looks at a teenage couple’s affair backward, through a series of vignettes that take place at school dances. 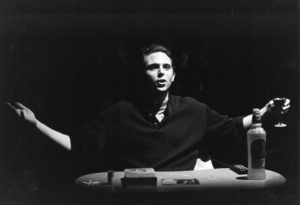 Winner: Chalmers Canadian Play Award, 2001. This solo show delves into the lives of three men: a busker, a fast food junkie, and a commitment-shy gay student who are connected by their lack of direction and bewilderment at 20-something life. 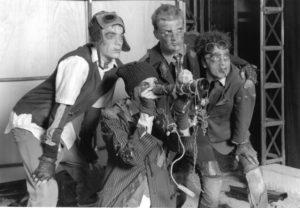 Described by Eye magazine as “Peter Pan meets Clockwork Orange,” Gil Garratt’s play centred on a band of homicidal youths in a dystopian future. Theatre Direct was proud to premiere the first play for young people written by acclaimed playwright and musician Tomson Highway. 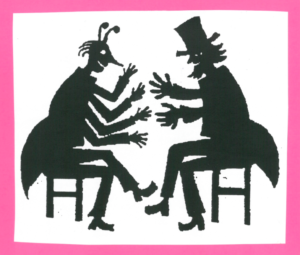 Aimed at students from Grades 1 – 6, the play focused on the antics of Iktomi, the Trickster. Using the trickster myth which is at the heart of so many First Nations, Highway stretches the bounds of the children’s imaginations. Iktomi is a kind of half-human, half spider who lives in a world where everything – the thunder, the sky, the trees, the animals – have souls and can communicate with us. In Iktomi’s world, healing comes through laughter – and the trickster’s madcap adventures guarantee plenty of that! 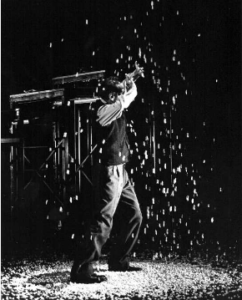 This enchanting solo work by acclaimed Quebec theatre artist Wajdi Mouawad is about a boy with a huge imagination. Alphonse has not come home from school, and everyone is searching for him. Meanwhile, Alphonse is walking along a country road, inhabiting the make-believe world of an adventurer named Pierre-Paul Rene. The show combined theatrical magic and the author’s unique cultural perspective to transcend generational boundaries. As two marginalized young women prepare for a rendezvous with an alien spacecraft, they must come to terms with their own fears and desires and the dawning of adulthood. A chilling play inspired by a real-life murder, Misha is a powerful investigation of male identity, faith, and violence. As a member of a skate gang, Kim kick-flips Asian stereotypes as she rides the rails of teenage life. She’s also searching online for her birth parents, looking for clues to her past and direction for her future. Roundabout explores the issues of suicide, peer pressure, and conformity with dark humour and music. 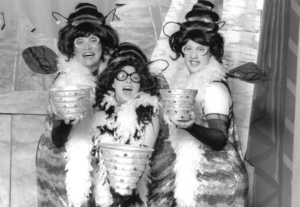 In the early years of the milennium, Theatre Direct restaged some of its most enduring shows. 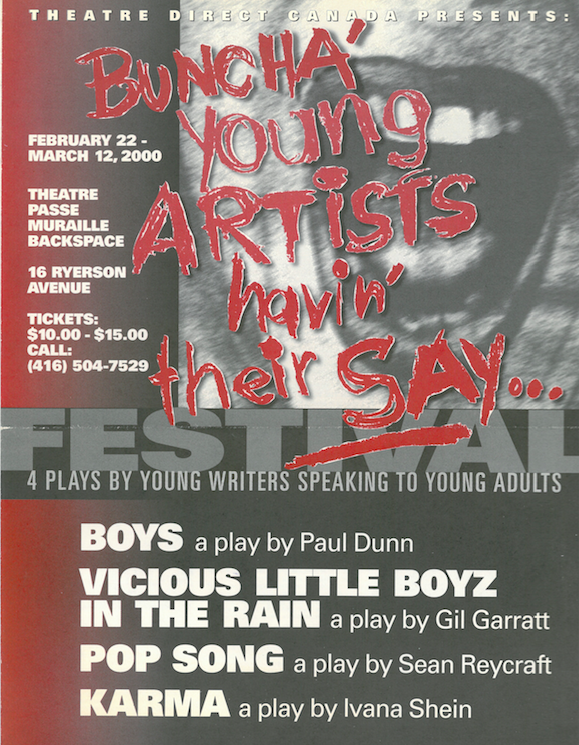 So, more than a decade after Theatre Direct first toured this play about a bereaved boy and his friends, the show began touring again. 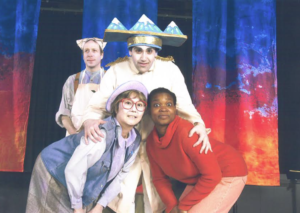 The cast featured diversity, and for many performances, the production was made accessible to the deaf and hard-of-hearing community through the use of simultaneous ASL interpretation. 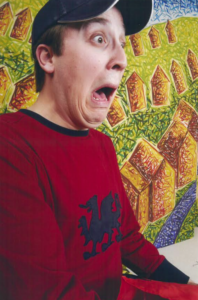 The show toured again during 2004/5. Set in the middle of a cold, barren heath in the hours before dawn, in the middle of a civil war, Petra must explain to the spirit of her boy how he came to be killed. With music and song, audience participation, and humour, Petra tells the story of a once-peaceful country that comes to be consumed with hatred and strife. 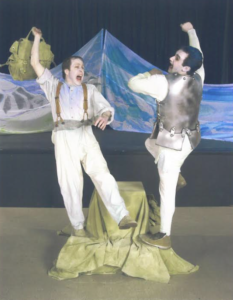 Theatre Direct’s presentation provided full days at schools where students in Grades 4 – 8 saw the play and then participated in workshops examining the roots of war. 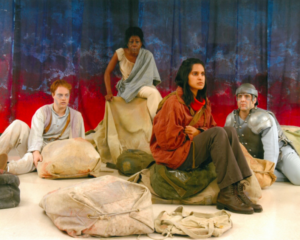 A second tour of the play in the autumn of 2002 starred Asha Vijayasingham, Kurt Smeaton, Pasha McKenley, and Michael Cronin. 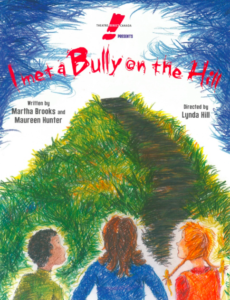 Another of the classic Theatre Direct shows that returned for a second incarnation was this always topical look at how to deal with bullying. 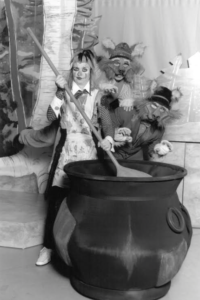 The show toured schools and also had a run at the National Arts Centre as part of its Family Series. Combining drama, dance, and music, And By the Way, Miss… explores the stories of five girls as they navigate the terrain of early adolescence. The girls face the challenges of their relationships with one another, their peers, their families, and themselves. 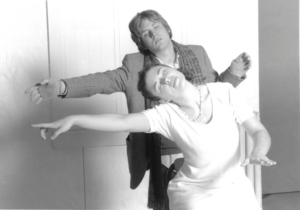 Issues and themes in the play include: body image, intimacy, friendship, and sexual and emotional health. 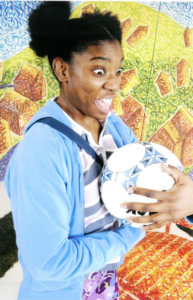 The play was aimed at Grades 7 – 9 and as well as travelling to schools, ran in conjunction with workshops and discussions at the Harbourfront Studio theatre. 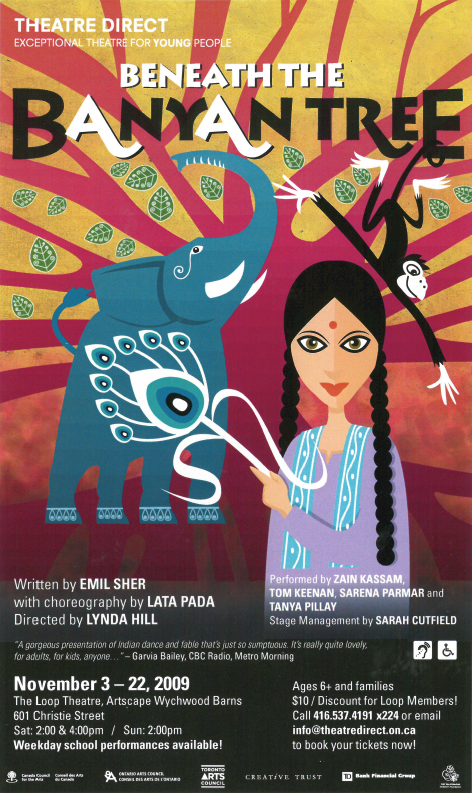 Originally commissioned by Sampradaya Dance Creation and produced in association with Theatre Direct. 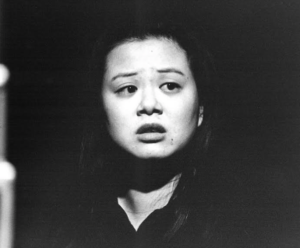 Subsequent remounts took place with the same cast in 2005/2006 and 2006/2007 seasons. 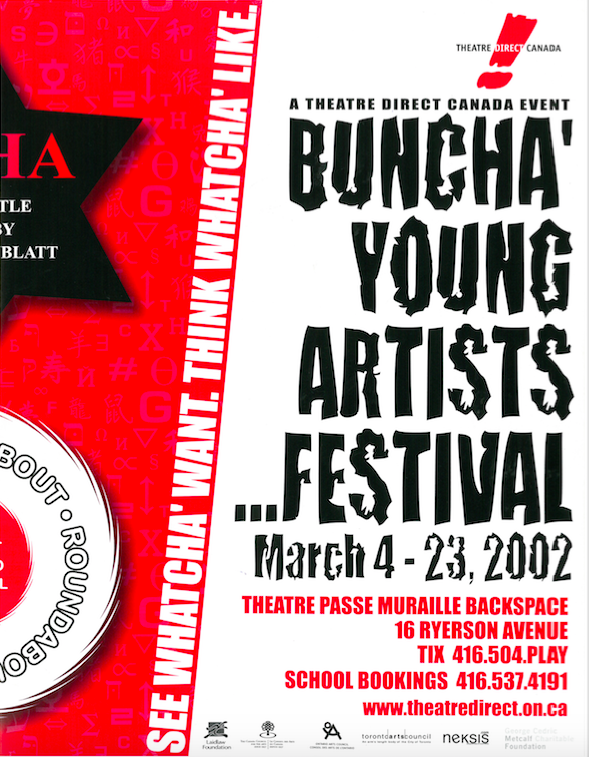 In 2009/2010, the production received three productions: one in Toronto at the Wychwood Theatre which toured to Calgary’s Vertigo Theatre, one in Darlington, England, in association with Theatre Hullabaloo, and one produced by Manitoba Theatre for Young People. 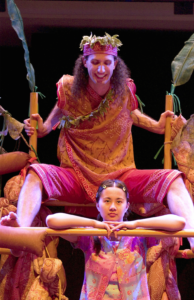 In 2014/2015, Beneath the Banyan Tree was revived once again for performances in Toronto and Montreal, where it was presented by Geordie Productions; this production received three Dora Mavor Moore Awards. 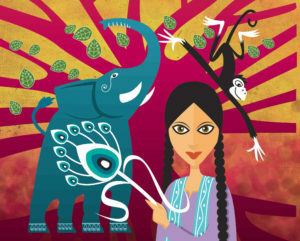 A vibrant fusion of theatre, traditional Indian and contemporary dance, movement, puppetry, and music, Beneath the Banyan Tree tells the story of a young South Asian girl who discovers the courage to be herself in a new country. 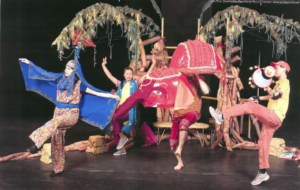 Beneath the Banyan Tree featured a unique fusion of styles and a perspective that reached across generations and cultures. 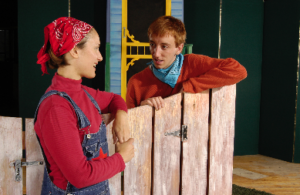 The play is one of Theatre Direct’s most beloved and acclaimed productions, and has delighted thousands of children over the past decade. Winner: Dora Mavor Moore award for Outstanding Production, Theatre for Young Audiences, 2015. Winner: Dora Mavor Moore award for Outstanding Performance – Ensemble, Theatre for Young Audiences, 2015. 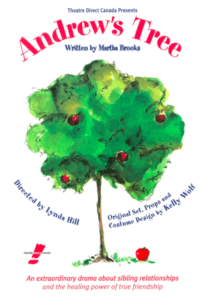 Winner: Dora Mavor Moore Award for Outstanding Direction, Theatre for Young Audiences (Lynda Hill), 2015.